Marnita’s Table exists to increase equality and decrease disparities across difference. Intentional Social Interaction (“IZI”) is Marnita’s Table effective experience engineering model that helps individuals, businesses, NGOs and government agencies achieve equity and inclusion goals. We provide practical tools for you to build sustainable community engagement, leadership and collaboration across race, class, culture and other means of self-identity. We’ve welcomed over 53,000 people to IZIs since 2005. 38% of all people who attend one three-hour IZI voluntarily report significantly shifting their behavior toward consistently connecting authentically across difference. This is the second event in a series. Whether or not you attended the first event on March 5th you are more than welcome to attend and contribute! 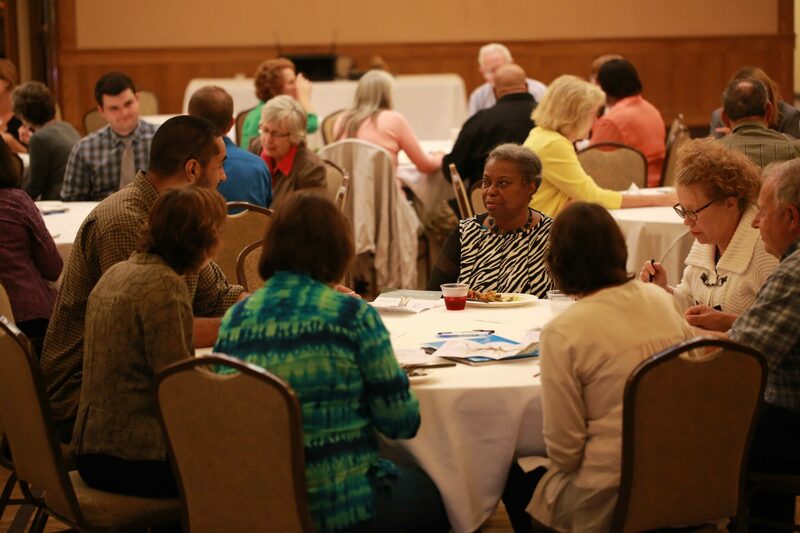 Hennepin County Department of Community Corrections & Rehabilitation (DOCCR) and Marnita’s Table invite you to join us on Tuesday, April 30th from 6:00 p.m. to 9:00 p.m. for a community conversation and engaged planning session to develop an inclusive and sustainable advisory board for all of us! 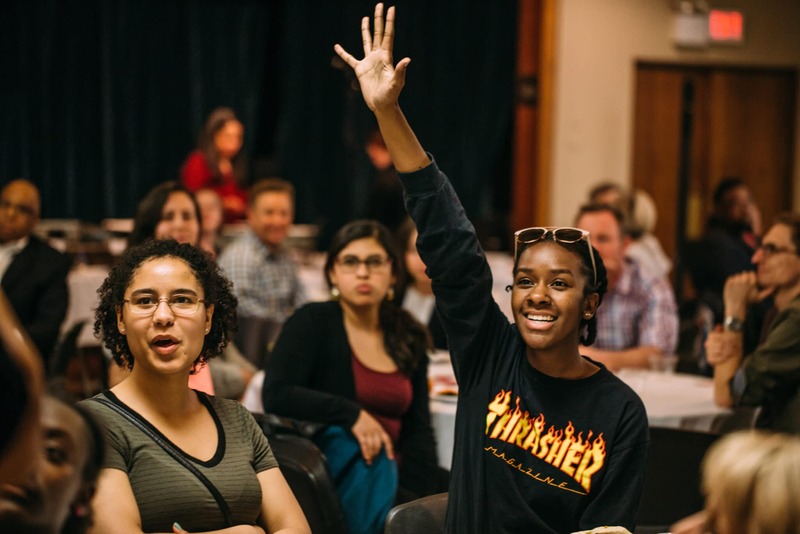 During our time together, we will explore individual and shared definitions of sustainable community engagement as we collectively strategize the creation of this community advisory board – all over a delicious feast! Who’s invited? Anyone who lives in Hennepin County – including youth and elders of all ages. We want you! Make sure that we are truly inclusive in developing a board that accurately reflects our diverse community. During our kick-off event, many attendees said that they would be interested in helping us to invite participants to the next event! We are still recruiting, so please reach out to anyone you believe should be a part of the community advisory board and/or planning process. We encourage you to share this invite! A night of great engagement where we listen to your voices as you share with us who you think should be on a community advisory board for corrections and what shape the board should take. Expect to be enlivened and engaged as we develop shared definitions of sustainable community engagement and explore community-sourced priorities and feedback on shaping an advisory board to help guide the work, policies and practices of the Hennepin County Department of Community Corrections and Rehabilitation. Together we will capitalize on existing energy, make new connections and build momentum as we share an abundant feast. If you are receiving this invitation you have been identified as someone who will add and receive extraordinary value through your participation in this critical conversation. We are specifically seeking a vibrant cross-cultural mix of participants from every sector. If you know someone who will add and/or receive extraordinary value through their participation feel free to reach out to someone across race, class, culture, professional affiliation or age and invite them to join you! A complete feast is served with abundance to allay any dietary concern from vegan to halal to carnivore using the Intentional Social Interaction (“IZI”) model (marnitastable.org) of a resource-abundant environment. You are the guest of the Hennepin County DOCCR and there is no charge to participate. Please dress comfortably. Children, elders and other community members of all ages welcome! Time | 6:00 to 9:00 p.m.
RSVP via email to elexis@marnitastable.org. You may also call us at 612.928.7744. Yes! We are seeking members for a new advisory board! Yes! Join us for one night or stay engaged in the project on an ongoing basis! Yes! Children and teenagers are welcome! Yes! It is free to participate! We look forward to welcoming you. If you have any questions you may call Marnita’s Table at 612.928.7744. Hennepin County Department of Community Corrections and Rehabilitation’s (DOCCR) mission is to promote community safety, community restoration, and reduce the risk of re‐offense. The department operates correctional institutions, a treatment center, adult and juvenile probation, supervised release, provides mediation in parenting custody disputes, and administers alternative sentencing programs. It is the largest community corrections organization in Minnesota. Marnita’s Table seeks to measurably increase social capital across race, class, culture, gender and other means of self-identity in order to catalyze transformational change where racial and cultural differences are not viewed as deficits or merely tolerated, but instead viewed as assets. Experts at social capital building, over the past fourteen years we’ve welcomed nearly 50,000 people from around the world and the around the way to find common ground while breaking bread. Indulge in a fabulous feast, meaningful dialogue and new rituals. Build authentic and supportive cross-generational relationships! An event by women, for women to inspire, engage and rejuvenate. ImagineAct! is open to all who may identify as women, female and/or non-binary. Come by your fabulous self or bring two women as your guests, one who is further than you on their journey and one who is just beginning her journey. 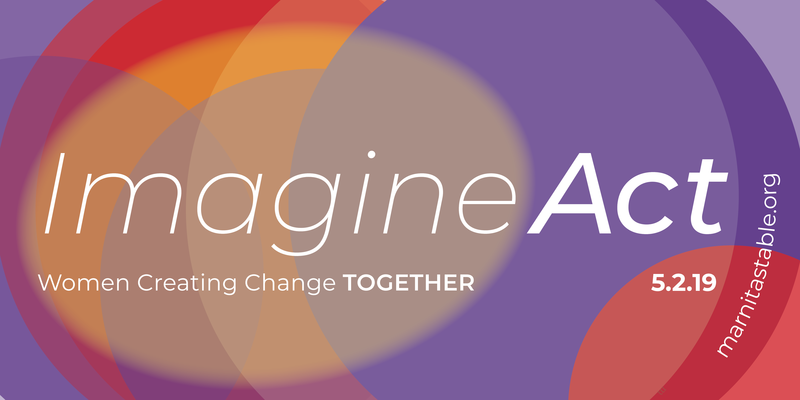 Visit the Imagine Act page. When the next Charlottesville or Parkland occurs, we plan to be there within days to help defuse conflict in crisis situations. We use our innovative model Intentional Social Interaction to achieve your equity and inclusion goals while expanding networks across difference, catalyzing new collaborative partnerships and using community based participatory research to drive concrete, measurable systems change. As a full-service consultancy, we see to all planning, research, preparations and project management prior to, during and following an event for your organization. Although we are a 501(c)3 nonprofit, 70% of out income comes from someone who hires us. We have exceeded the goals of our clients 100% of the time and all of them have hired us more than once. Marnita’s Table has now served over 53,000 people over the past 13 years. We have doubled our budget and quadrupled the number of people served through our model. We critically need your dollars. Hundreds of trainees now need access to the the tools of Intentional Social Interaction. Fortunately, we can earn opportunities through systems change in other communities but it is YOU that supports us in tackling pressing issues that serve our local community. We need funding to create solutions and your support provides us with the opportunity to continue doing so.